This Montana based beauty can’t help but capture both your mind and soul. 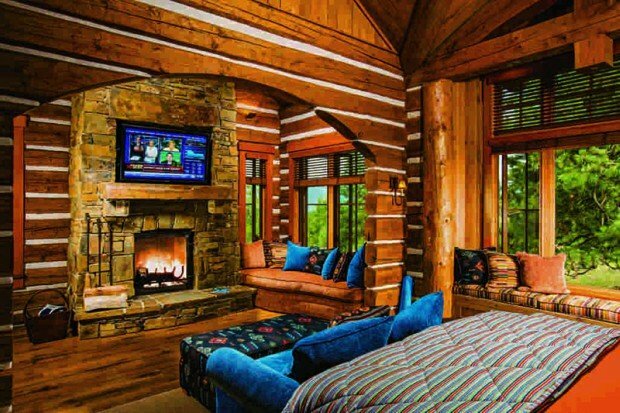 It’s not only built in a very captivating location surrounded by a scenic landscape, but the interior is the perfect combination of elegance, luxury, and rustic chic appeal. 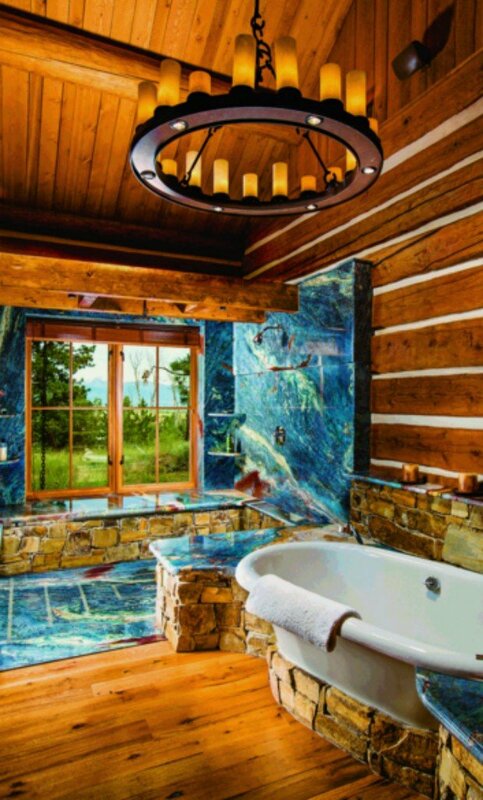 The blue pillows in the interior design tend to pick up the color of the evening sky… a nice touch, eh? 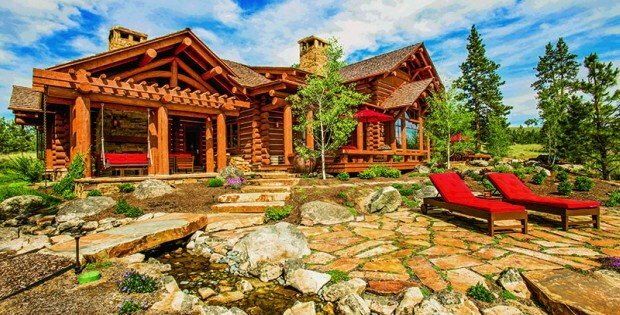 To say this log home fulfills a lifelong dream is no exaggeration. Californians Karen and Tom spent their early years together backpacking and camping in the Rockies and realized there was where they wanted to build a vacation home. They imagined different looks and layouts over the years, and held on to their dream. About 25 years ago, they began searching in earnest for the right location, somewhere, as Tom says, “out of the crowd.” They joined as non-owners to benefit from abundant recreational amenities but after tiring of hauling their bags back and forth from California to a rented home, they bought an 11-acre lot to build their dream at last. The design suited their lot, but they wanted to be on hand during the home’s construction. So they rented a 20-year-old house on 137 acres right next to the Stock Farm. “We realized why in the heck would we want to build where there’s a community association and close-by neighbors, when we could buy this lot, which was for sale,” Tom says. With room to spread out, the design for what was to have been a 3,000-square-foot house more than doubled in size. 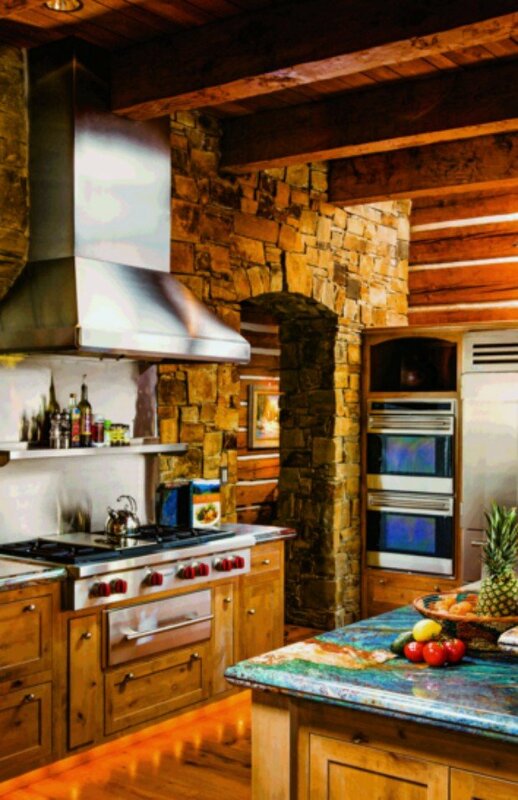 The resulting D-shape profile is common for milled-log homes but rare for handcrafted ones. 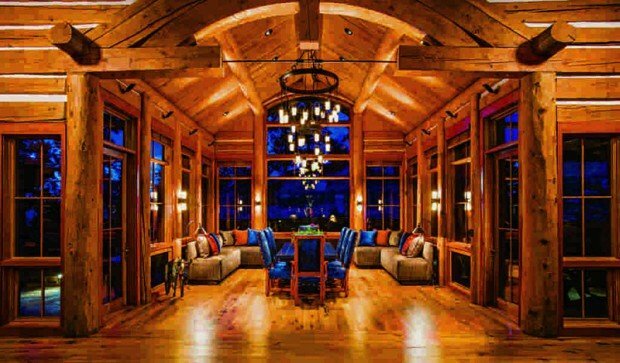 Karen and Tom chose General One of Whitefish to build the home, with former owner Wyatt Perkins serving as the general contractor. Living only a hundred yards away, the couple visited the site at least twice a day. Construction lasted three years. They immediately invested $89,000 for solar panels to reduce their reliance on propane. After the retrofit, their next propane bill was only $440.